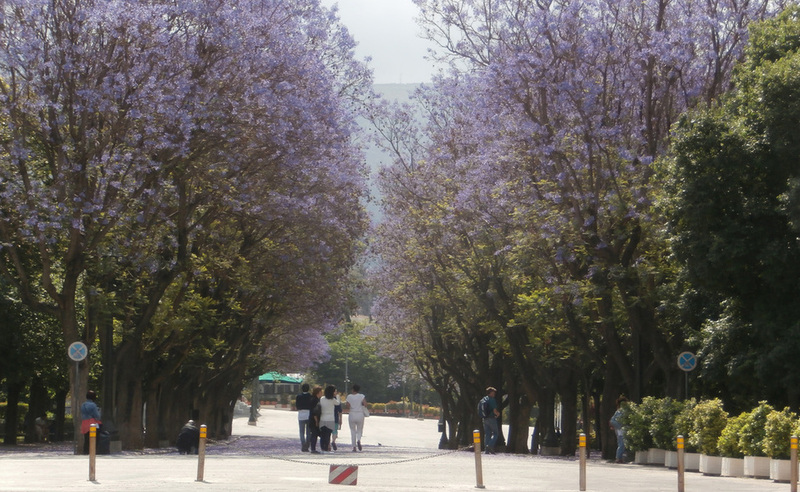 Blooming jacaranda trees (Jacaranda mimosifolia) flanking the main alley of the Zappeion Gardens towards the Zappeion Hall. 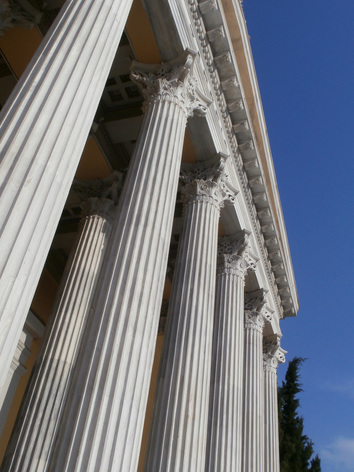 The Corinthian-style colonnade of the Zappeion Hall. Zappeion Hall, an attractive building designed by Danish architect Theophil Hansen, was constructed starting in 1874 and was concluded in 1888. In the past few years some of the most significant events in the history of Greece have taken place here, such as European summits, and significant political conferences and announcements. Art exhibitions and occasional concerts are held here. In the vicinity of the mansion are the statues of the Zappas cousins, who funded the construction of the building, and an attractive park, where Athenians go for a walk. Near Zappeion Hall there is Aigli, a very nice café and restaurant as well as an open-air movie theater of the same name. The 1821 Greek War of Independence lasted almost eight years and led to the creation of the modern, independent state of Greece. The inhabitants of the newly-founded state strove to separate themselves from the over 400 years of Turkish occupation and to build on elements of culture, language and history dating back to Ancient Greece. In the 1850's, when the issue of reviving ancient ceremonies and contests was being discussed in Greece, Evangelis Zappas, a native of the Greek province of Epiros, lived in Romania where he had made his fortune. Zappas began to consider how such institutions could be revived, and even proposed that they be called 'Olympic'. It was the poet Panagiotis Soutsos, founder of modern Greek Olympic ideals, who introduced the concept of establishing parallel cultural activities and exhibitions modeled on the 1851 World Fair in London. Zappas proposed that a new institution be established that would help Greece keep pace with the industrial revolution. A proposal was sent in 1856 that the contests be organized in Athens on March 25th, 1857. Zappas would bear the cost of this event, as well as that of constructing a building to house an exhibition of samples of Greek art and industry. The building would also function as a museum displaying antiquities. To expedite this plan, he immediately sent 2000 Austrian florins to cover the costs of the First Olympia, which was also called the First Zappeian Olympiad. 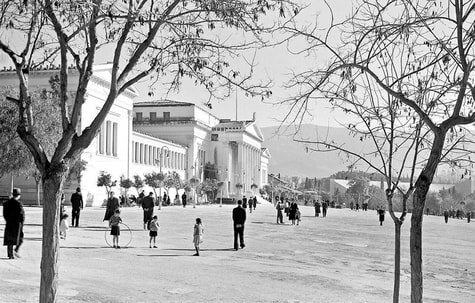 A vintage photograph of Zappeion Hall. Evangelis Zappas was a visionary, but his will demonstrated the pragmatic side of his character. Drawn up in 1860, just a year after the First Olympiad, his will proved that he not only understood the need for trade and industrial exhibitions, but also expressed a comprehensive view regarding their protection and upgrading. 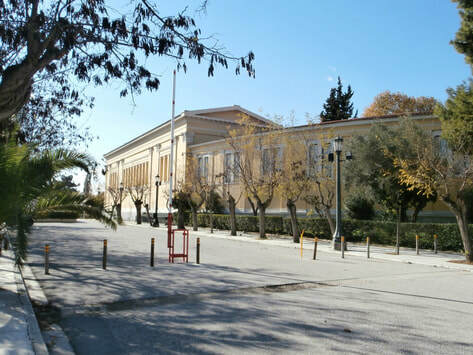 The Zappeion Hall building, as seen from Olgas Avenue. In 1869 the Greek Parliament made approximately 80,000 sq. 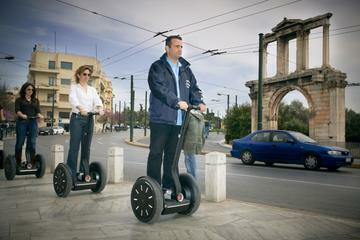 meters of public land available between the temple of Olympian Zeus and what, were then, the Royal Gardens. This took into account Zappas’ wish for the building to be as close as possible to the Kalimarmaron Olympic Stadium. At that time architect Anastasios Theophilas was called upon to amend the initial design of Francois Boulanger. After some delays, the cornerstone was laid on January 20th, 1874 but in the mid-1880s, Konstantinos Zappas assigned architect Theophil Hansen to create a new design, even if it meant sacrificing the walls that had already been built. But the professional bickering between these well known architects of the times and hints of financial misappropriation led to long delays, and the works came to a halt twice. The building was eventually inaugurated with all due pomp on October 20th, 1888. The Zappeion Exhibition Hall was the first building in the world to be constructed to serve Olympic needs. Its architecture is in the neoclassical order, with a Corinthian portico, and an organization of spaces that is fully in harmony with the purpose for which it was built. This building, the three-arched stone bridge over the Ilissos River that had been repaired, also at the expense of Evangelis Zappas, and the surrounding gardens give us a charming picture of Athens in the early 20th century. The building may have had a turbulent history, but no less so than the uses to which it was put. Rarely did it fulfill its initial purpose, and indeed it remained closed and deserted for years. During the first modern Olympic Games in 1896, the fencing events were hosted in its circular atrium; during the second International Olympic Games in 1906, the lack of infrastructure and facilities led to its being used as the "Olympic Village". In addition, starting in 1938 and for the next 40 years, it hosted E.I.R. the country's first state radio station. In 1940 it was converted into a hospital; the following year it was commandeered by the German army after which it became a storehouse and later barracks (1944). It was even bombed during the same year. After the war, there were discussions of demolishing it. Fortunately, in 1960, general repairs were carried out and again the most recent renovation was in preparation of the 2004 Athens Olympic Games. The Zappeion Exhibition Hall has witnessed the history of Athens for the past 120 years. It has been a key site for some of the nation's most significant moments, and has always been integrally linked to the Olympic Movement. Even though its uses were varied, it has become a landmark in the Greek capital, thus fulfilling the donor's initial wishes. The water fountains at Zappeion Gardens, against the sun. The needs of the people and the realistic assessment of the financial and political state of the country guided the steps of those who organized the Zappeian Olympiads. ​The First Olympia (1859) leaned toward economic development, the Second promoted developing education (1870). The Third Olympia (1875) was directly influenced by the political turmoil in Greece at that period. Through the organization and planning by the Olympia and Bequests Committee, a broad network of municipal Olympic committees was created at the time, which disseminated the institution to all the provinces in the country and abroad. Endless discussions, professional rivalries and delays in completing the Zappeion Exhibition Hall created a gap of 13 years between the Third and Fourth Olympiads. The coincidence of the celebrations marking the 25th anniversary of George I’s reign with the last Olympia, even though the anniversary celebrations overshadowed the latter’s events, created an unprecedented atmosphere of exhilaration and enthusiasm in the capital. Contributing to this spirit was the most significant art exhibition to date, which was part of the cultural contests. Side view of the Zappeion Megaron on a sunny day of Winter. Zappeion Hall from Leoforos Olgas Avenue. Today, Zappeion Exhibition Hall is the preeminent venue for domestic and international events in Athens. Located in the historic center of Athens, within walking distance from the Acropolis and the Olympic Panathenaic Stadium of the 1896 Olympic Games, the Zappeion is surrounded by over 200,000 square meters of gardens with meandering paths, fountains and over 70 works of sculpture. Zappeion has served as HQs for the Greek EU Presidency and the Press Center for the Ministry of the Press during the 2004 Olympic Games. Zappeion Exhibition Hall has approximately 4,000 square meters of space suitable for exhibitions and conferences. A central atrium of 984 square meters that can be used for conferences, concerts, cocktail parties and sit-down dinners for up to 350 persons. There are two interior open courtyards of 957 square meters each which are utilized as service areas. Rooms 14 and 5 have two rows of conference tables with microphones and headsets which seat 80 persons. The Rooms also feature translation booths and facilities for showing videos or slide shows. The Zappeion Exhibition Hall is suitable for art exhibitions and antique shows, product and services exhibitions, book fairs and educational exhibitions. To visit the site of the Roman Baths by the Zappeion, visit this page. For Sculpture at Zappeion Gardens, visit this page. 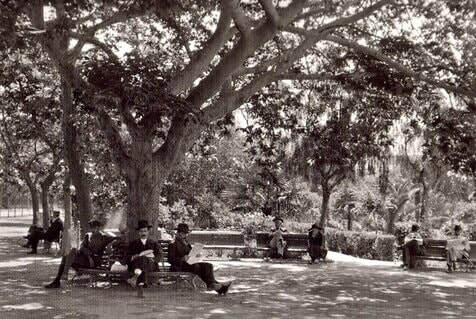 An old photograph of Zappeion gardens. ​Right across from the Zappeion Hall & Gardens and just a couple of hundred yards away from Syntagma Square, the Athens Key highly recommends Inn (n) Hotel. Book here! A design hotel, reviewed as superb by hundreds of Booking guests, and enjoying a central, yet quiet location, Inn (n) Hotel features 22 high-design exceptional rooms, each individually decorated room with Cocomat mattresses and linens. The marble bathrooms come with Olive amenities, while rooms are also equipped with a satellite, flat-screen TV, free WiFi, AC and safe. Inn (n) Hotel serves traditional Greek breakfast in the morning and a 24-hour front desk and room service are available.